American networking devices firm Netgear has launched a new tri-band Wi-Fi router in India. Called the ‘Orbi RBK20’, the mesh router system is the entry-level offering in Netgear’s mesh-networking lineup that it spearheaded by the RBK50 that’s often described as one of the best mesh networking devices available in the consumer market. The RBK20 system, meanwhile, comprises of a router and single satellite, and offers 2.4GHz and 5GHz connectivity. It also delivers what the company claims to be ‘industry leading’ Wi-Fi speed up to 2.2 Gigabits per second (Gbps). “With the introduction of new ‘Orbi RBK20’ tri-band Wi-Fi systems, we aim to provide a broader range of Wi-Fi solutions with maximum Internet speed”, said Marthesh Nagendra, Country Manager-India and SAARC, Netgear. 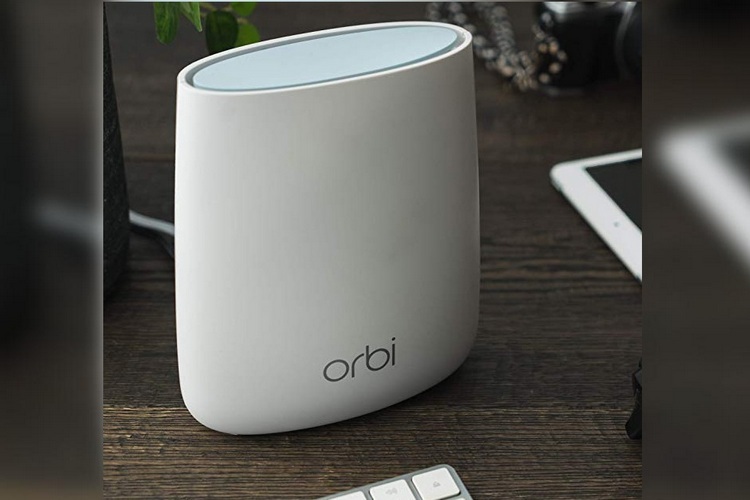 According to Netgear, the Orbi Whole Home Wi-Fi covers an area of 4,000sqft with super-fast speeds of up to a speed of 2.2Gbps , thanks to its Fast Lane 3 technology. The device comes with a sleek, modern design, and offers full compatibility with Amazon Alexa and Google Assistant, enabling users to control the device using voice commands. The router also offers ‘Circle with Disney’ smart parental controls that’s expected to help users easily manage content and time online on any device. The Orbi RBK20 comes with a three-year manufacturer’s warranty, and while the company says it will be available on Amazon and Flipkart starting at Rs. 24,999, we could only find it listed on the former at a much lower price of Rs. 12,999. It’s worth noting here that the aforementioned pricing is for the single-satellite pack, but the RBK20 is also offered with multiple satellites in international markets, so it will be interesting to see if the company will introduce those options in India.